Boachsoft is the leading supplier of software to the rental industry and shops. If you are looking for Tools and equipment rental software, audio visual rental software, Tent and event Rental or point-of-sale (POS) then you have come to the right place. 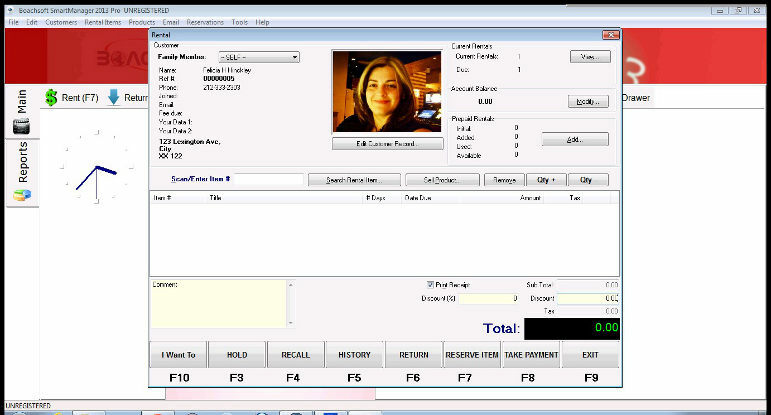 Boachsoft xRental Smartmanager is an advanced Windows based rental solution. This software is very easy to use, inexpensive and user friendly. Boachsoft has won numerous awards and gained world-wide recognition with our products. Our robust and proven solutions with hundreds of users worldwide is all you need to manage your rental outlet. Who should use Boachsoft xRental Smartmanager? Boachsoft's smartmanager is designed for anybody looking for tools and equipment rental software, audio visual rental software, Tent and event Rental software, construction equipment rental software, lift rental software or even party rental software. If you are already using another software you can easily migrate using our data import wizard. A Networked (Client/Server) version of this software is also available. The best desktop based video rental software you can find.